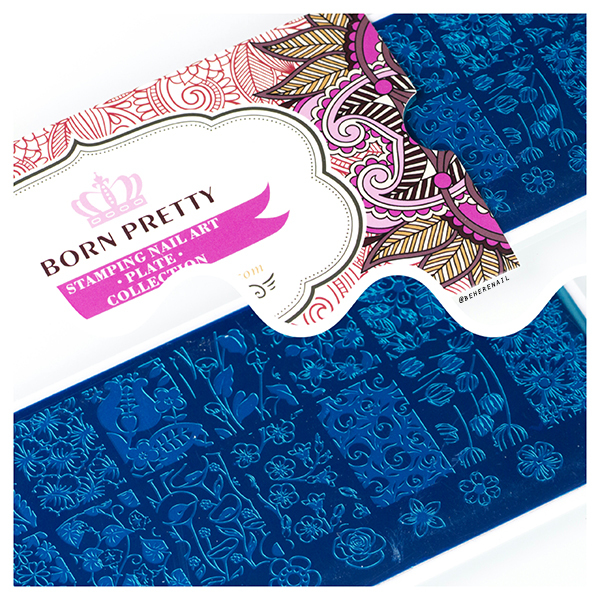 Hooray, my second press pack from Born Pretty Store arrived and I have a few goodies to share with you this week! I was most excited about this plate that I have seen so many of you using and absolutely love the images from! Check out BPL-029! 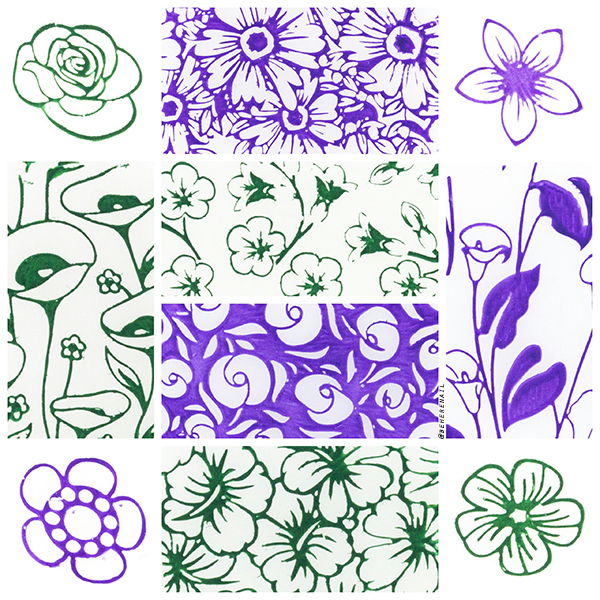 It's full of awesome, detailed floral images; some negative space, some great for leadlighting and reverse stamping! I swatched a few of my favorites for you here. I know a lot of you are well past tulip season this year, but I had to use this set of images from the plate because I love the coordinating single images that can be used with the larger pattern! 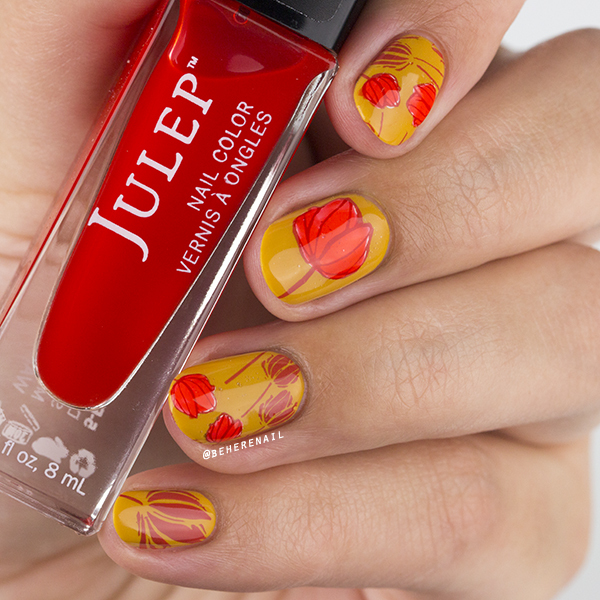 I went with a rustic mustard base, El Corazon No 423/263, reverse stamped with Mundo de Uñas Brick and Sinful Colors Snow Me White, and leadlighted the tulips with Julep Poppy. I like the retro feel of this, and my florals have to be retro. 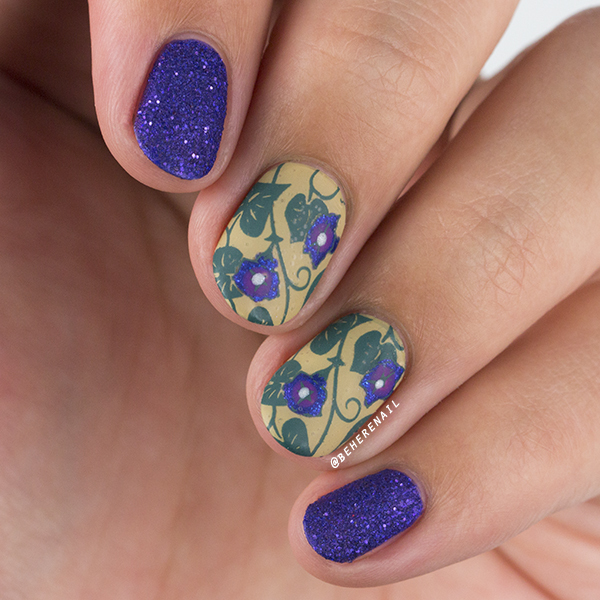 For this next look I wanted to use the morning glories from BPL-029. Some of my earliest memories include walks through morning glory covered alleyways in San Diego, so I still have warm thoughts when I see them! This mani was pure luck because Zoya Ibiza and Julep Sherri matched one another pefectly! I started with another wonderful cream base from El Corazon, NO 423/261. Then I reverse stamped with Mundo de Uñas Present and added a hint of detail to the flowers with Sinful Colors Dream on and Zoya Genesis. I could have rocked this look for days! I can't say enough good things about this plate, even the finest of lines had no issues picking up, and there were no tricky open spaces in the negative space images! I can't wait to check out the next plate in the pack as it's another of my long time Born Pretty Store favs. Hope you enjoyed these manis, if you feel effectively enabled, feel free to use my code JUSQ10 for ten percent off full priced items at Born Pretty Store; you can find the link in the sidebar. 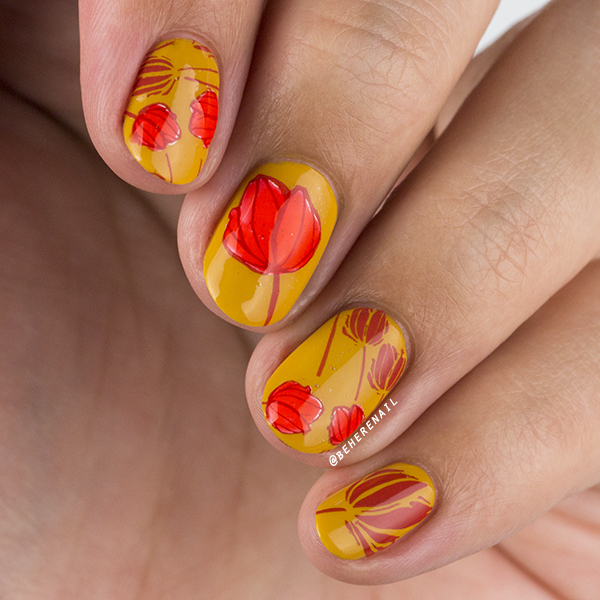 If you love my blog and nail art, you can support me by clicking the Join Site button on the right! Thanks guys!